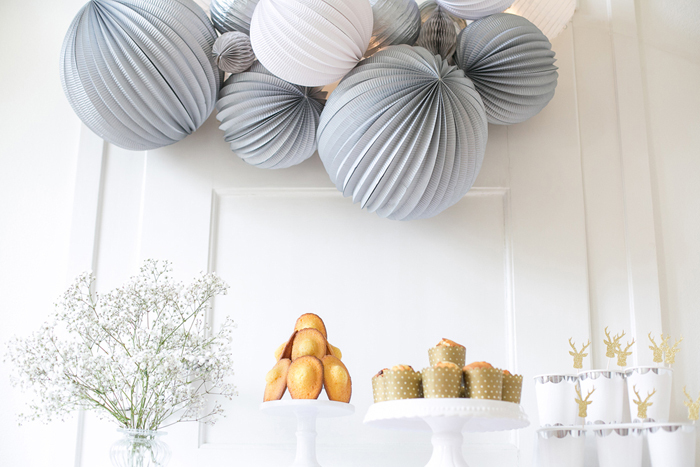 We’ve have created a special party backdrop with our delicate paper tissue pompoms. 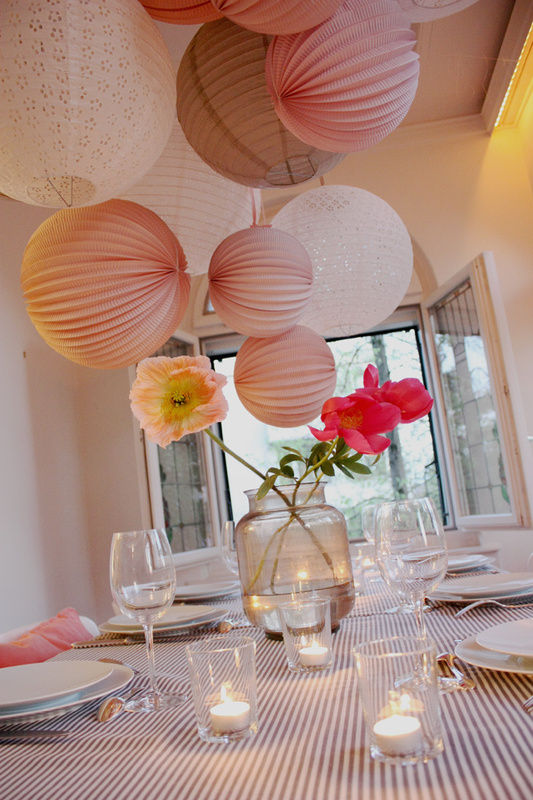 Just perfect for an intimate wedding ceremony, a baby shower or a sweet birthday party. 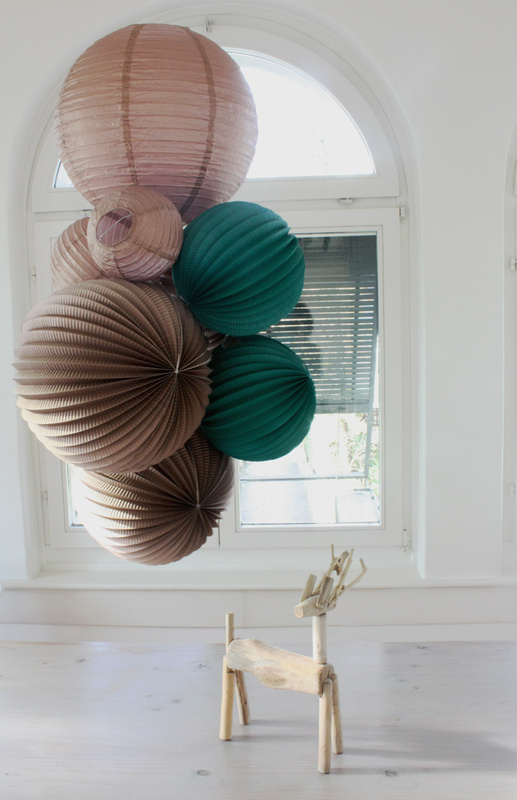 Fix the small pompom to the big pompom with its little string. 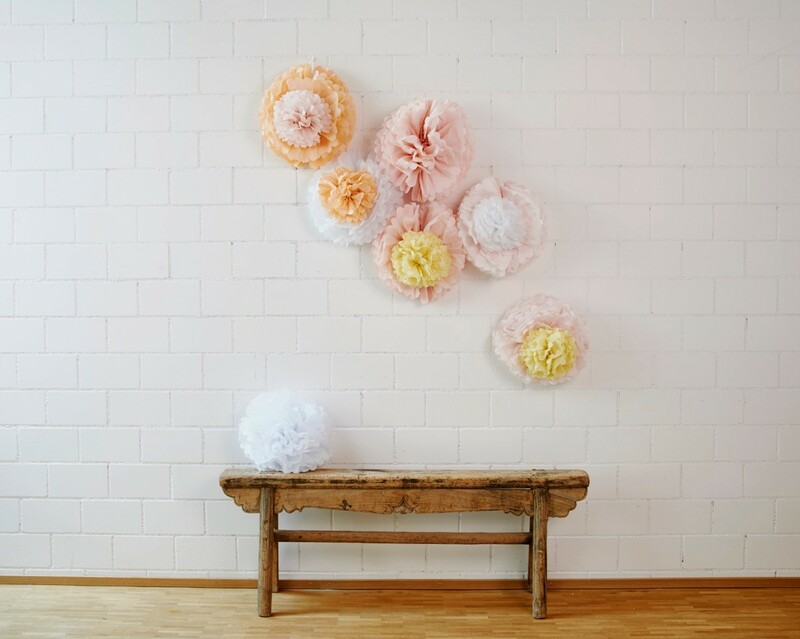 Hang your flower on the wall with the biggest pompom’s string. 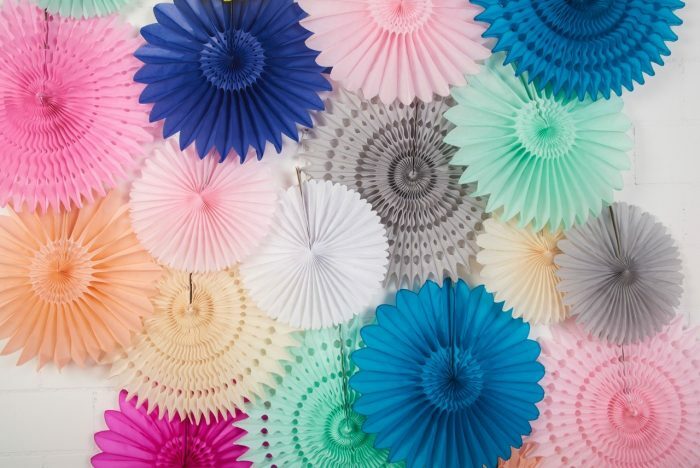 Visit our store to shop paper pompoms for your next party! 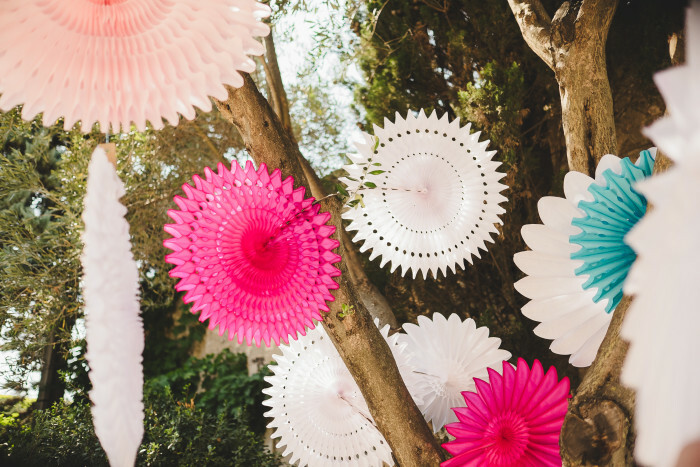 If you are getting married and are looking for a pretty idea to cover an sad piece of wall, or to create a fantastic backdrop for your Photo Booth, search no more and go for our colorful paper fans. 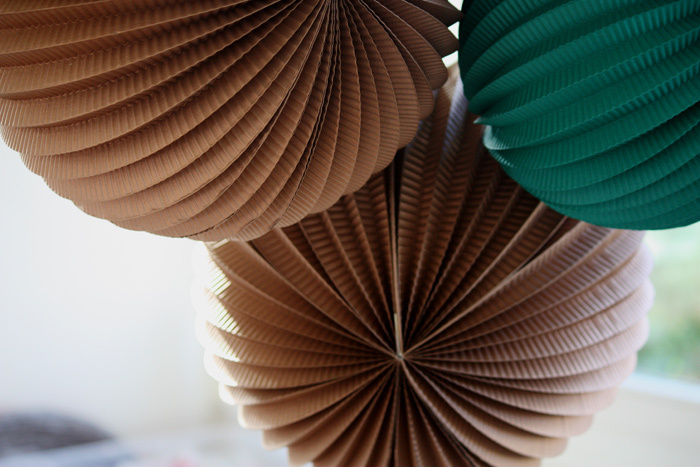 They are available in 4 sizes, plain or honeycomb styles, and in many colors. 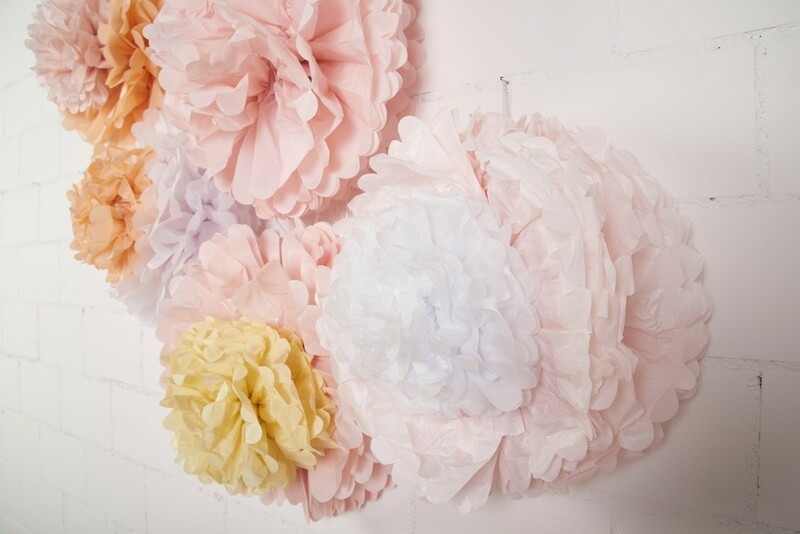 Super light, they are super easy to hang on the wall with their little string, with blu-tac or small nails. 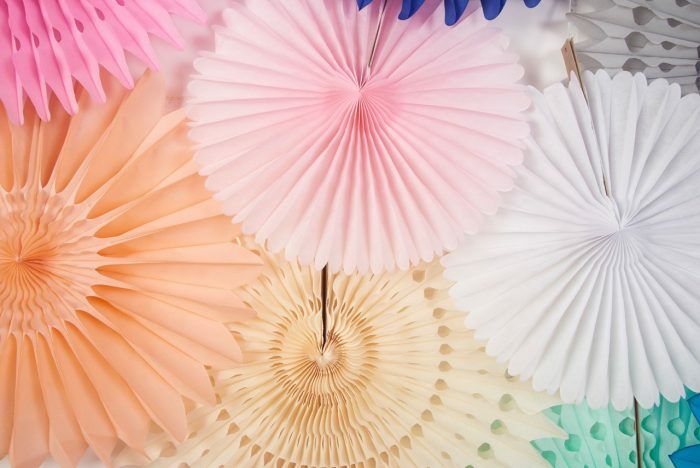 6 paper fans 45cm – hello sunshine, aquatic, peach smoothie, navy, pretty in pink, vitamine pink. 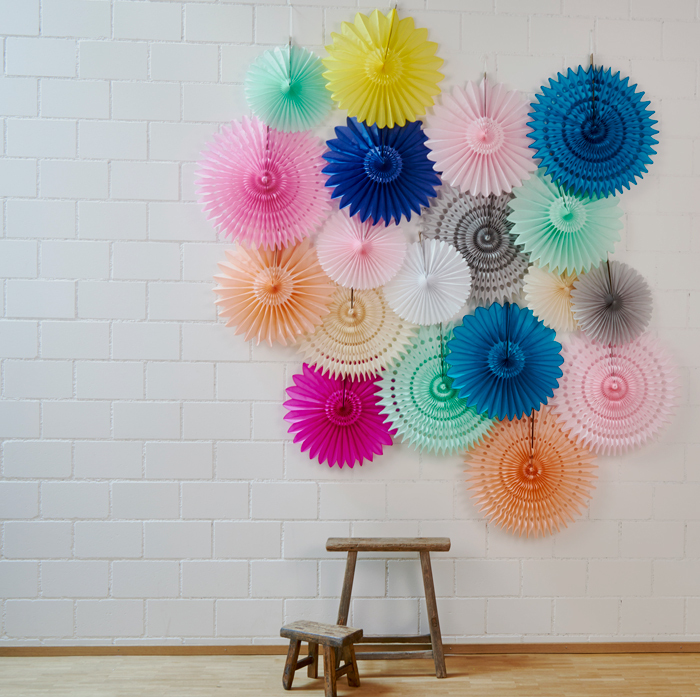 Don’t forget to mix and match sizes, colors and types of fans! 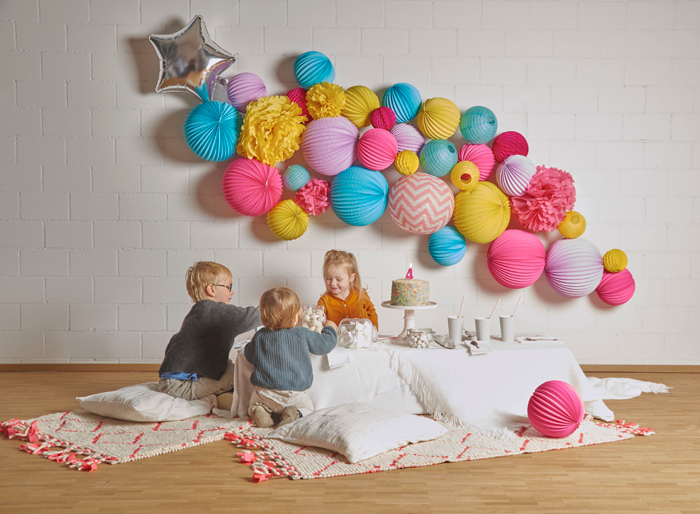 And it works also very well to create a fun space in your home, kids bedroom or playroom. 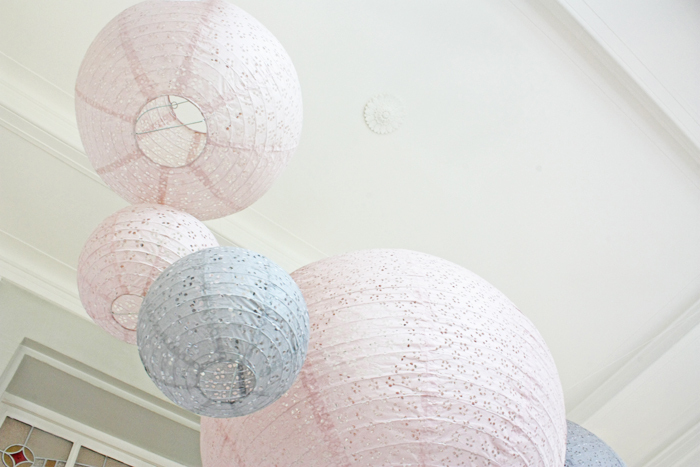 In our store you can find many colors to create many different styles, pastel, bright or more neutral. 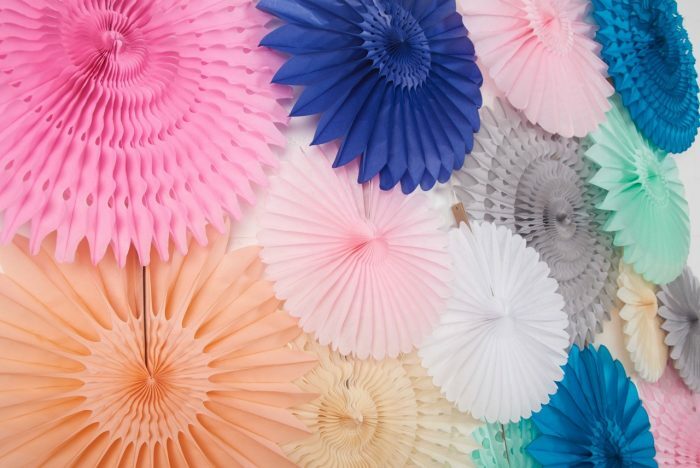 All our pretty paper fans for your party backdrop are available in our store! GUYS! This party backdrop though! Here is one of favorite set-ups of the season. 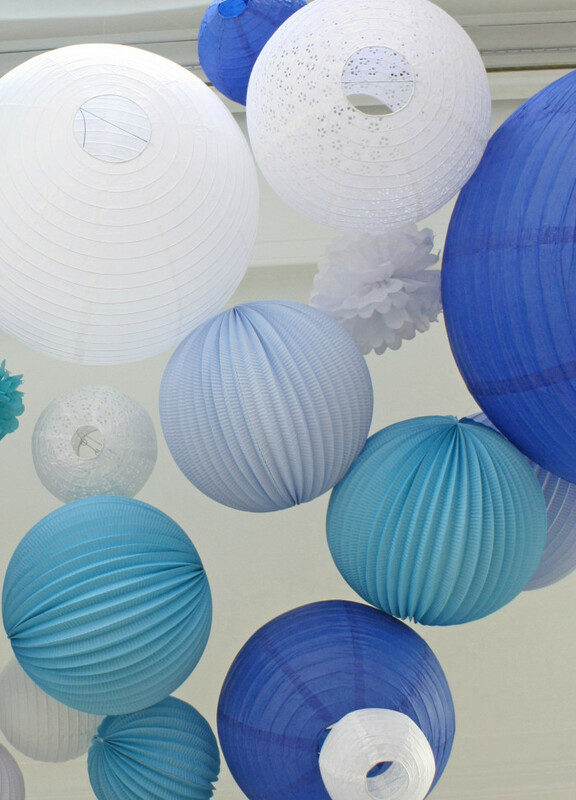 A super pretty backdrop for any party, with paper lanterns and pompoms, hung on the wall, like a fairy cloud. 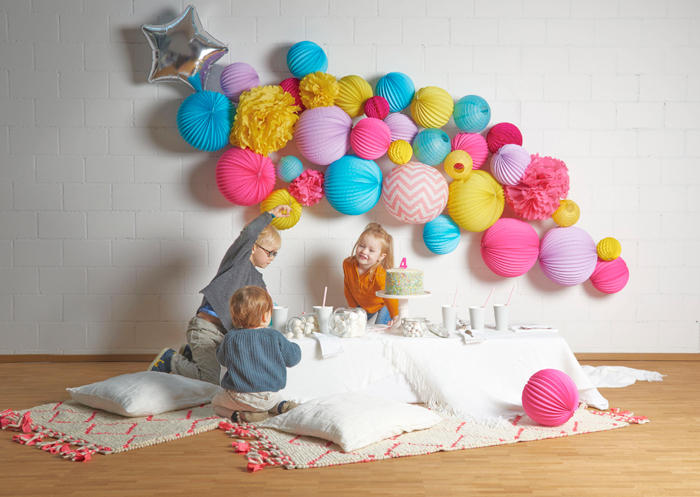 A dreamy piece of decor which will be ideal for a kids birthday bash, a baby shower or a wedding. 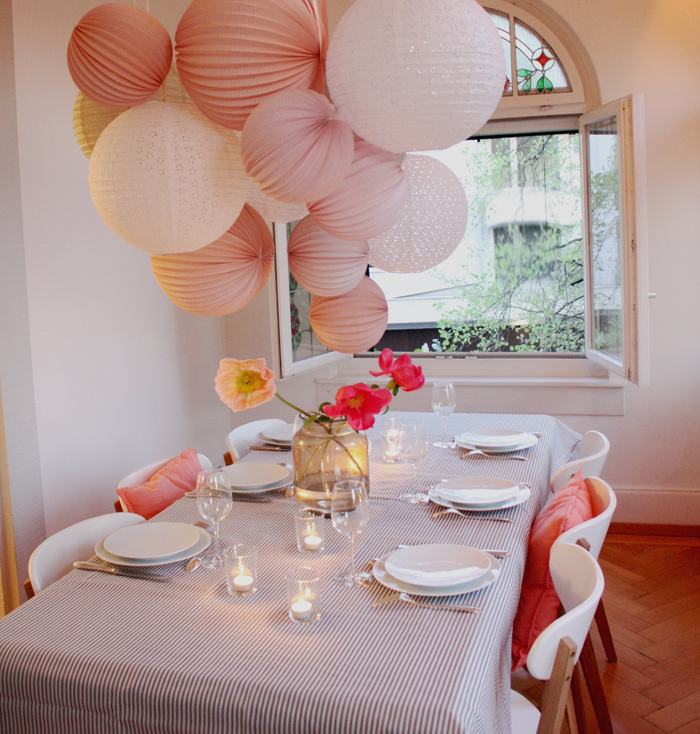 You can also keep the quantities and change the colors to adapt the grouping to your own event palette. 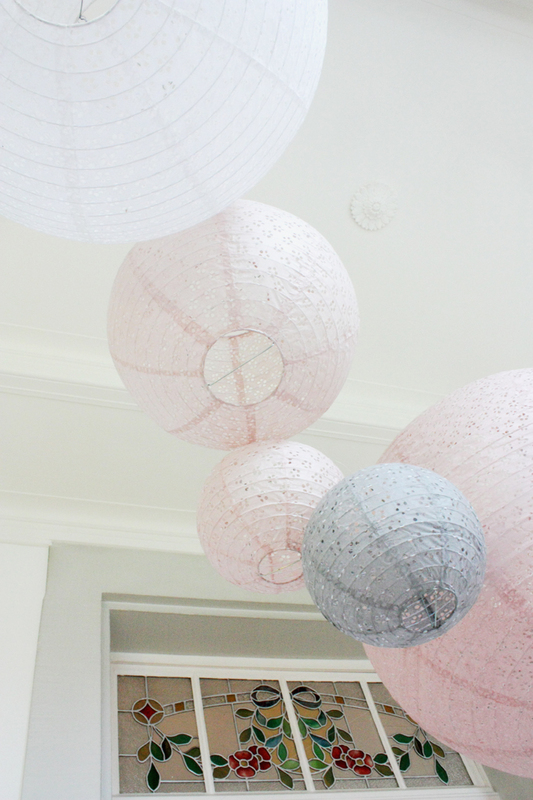 As for the installation, we used 5 nails and fishing line to hang the lanterns at different heights. 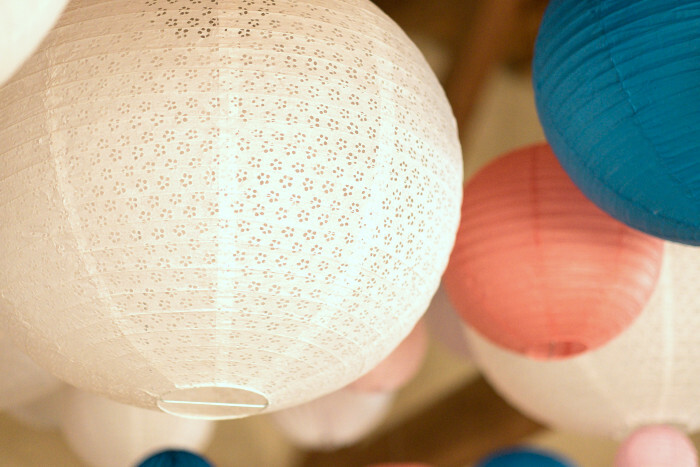 We then filled in the blanks with small lanterns and pompoms. It will take a good hour to set up… but that’s worth the try right? 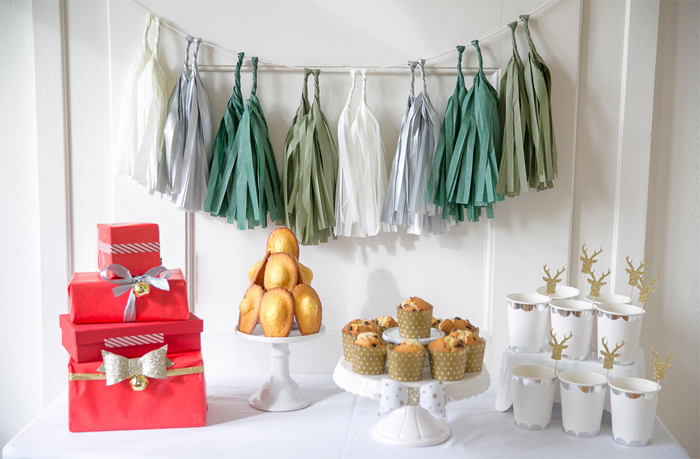 Visit our store to find the perfect mix and match of products for your parties! 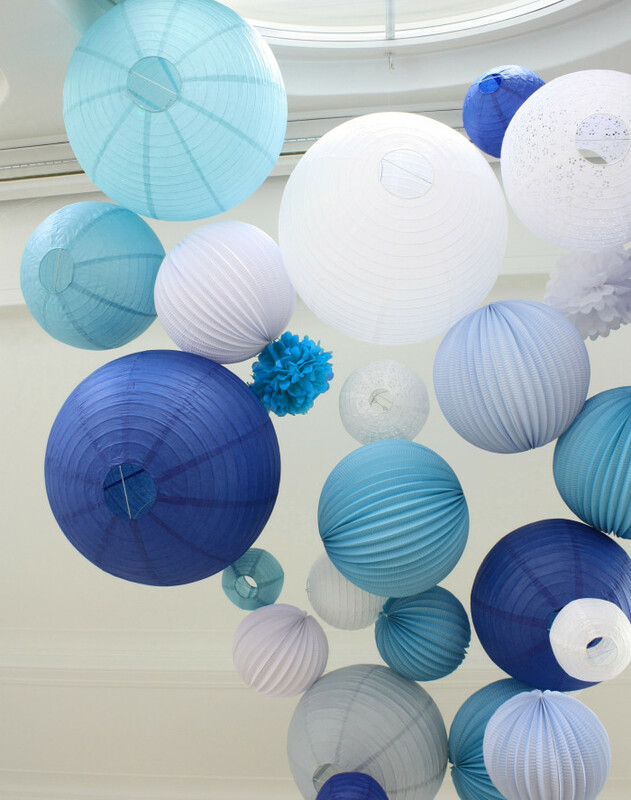 That’s the kind of decoration which will not give you the blues (joke lol)! 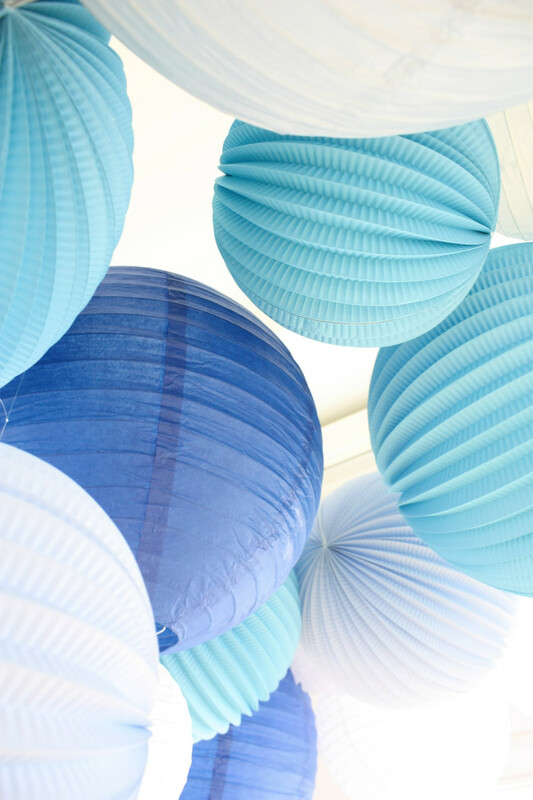 Here is one of our favorite color palette for the season, with deep and refined shades of blue. 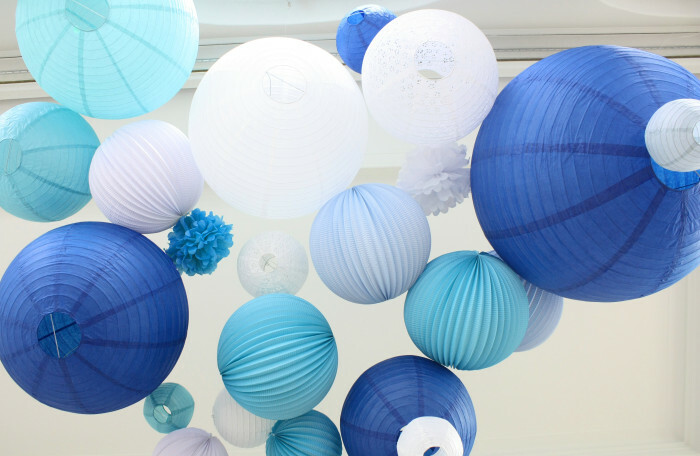 And because we are nice 😉 , here are some quick tips to create this kind of venue decor, for you wedding, a birthday bash or a ocean themed party. String Fishing rope or solid twine hung in all directions, as a huge spyderweb on which you will suspend different elements of decoration. and play with the heights. A classic! According to your whishes you can choose: several different product lines to be mixed, a single product line but several sizes or simply one product ordered in quantities. 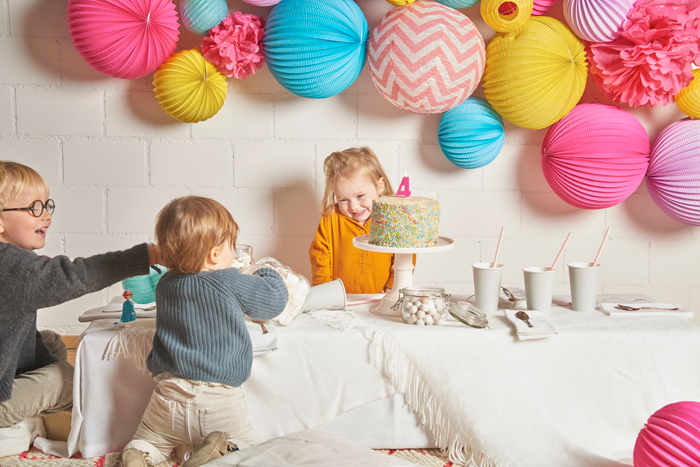 Party time with our new paper lanterns kit Pop Party! 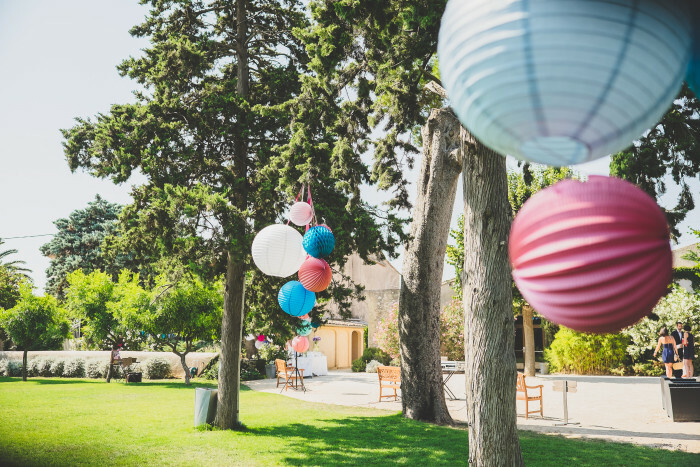 You’re tying the knot soon and you already found the wedding venue of your dreams. 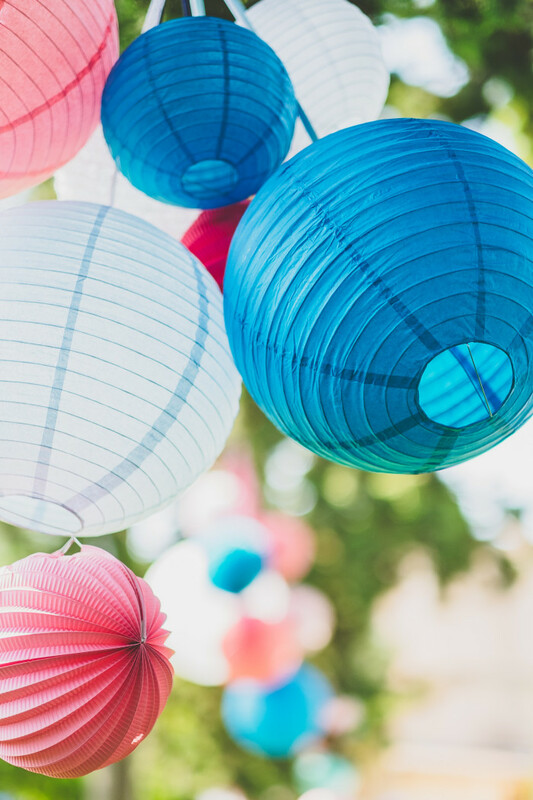 High ceilings, blooming garden, everything you wanted… Here is how you can personalize the space and make it even more magical, using our paper lanterns and paper decorations. And some tips and tricks to make the best out of it! 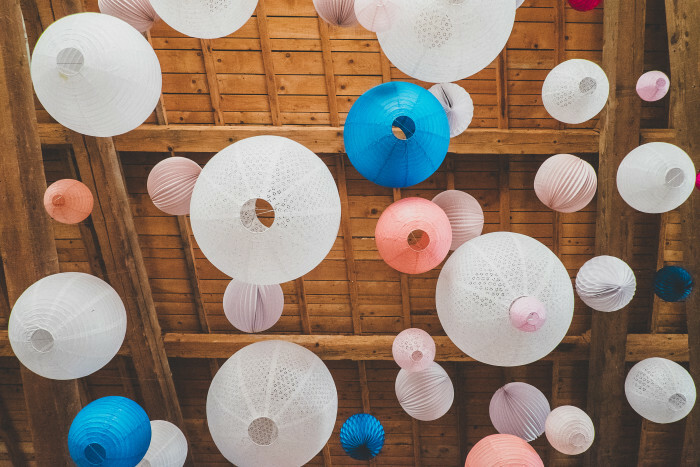 Your wedding venue ceiling height is important. 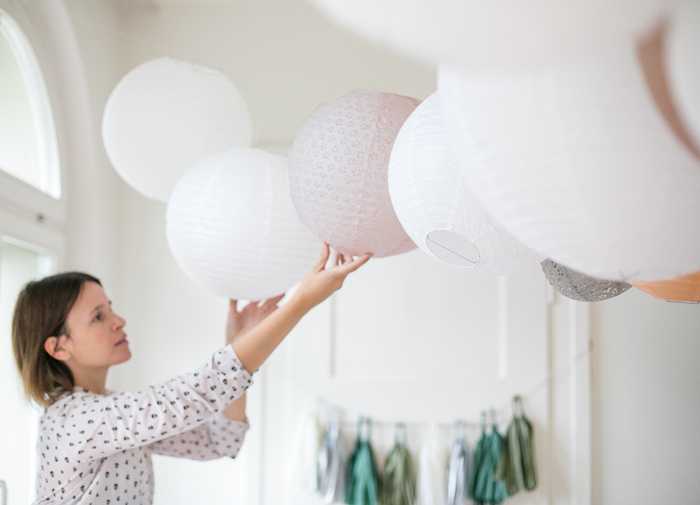 If the room has low ceilings, you need to select paper lanterns of size 35cm and lower so that you don’t overload the space. 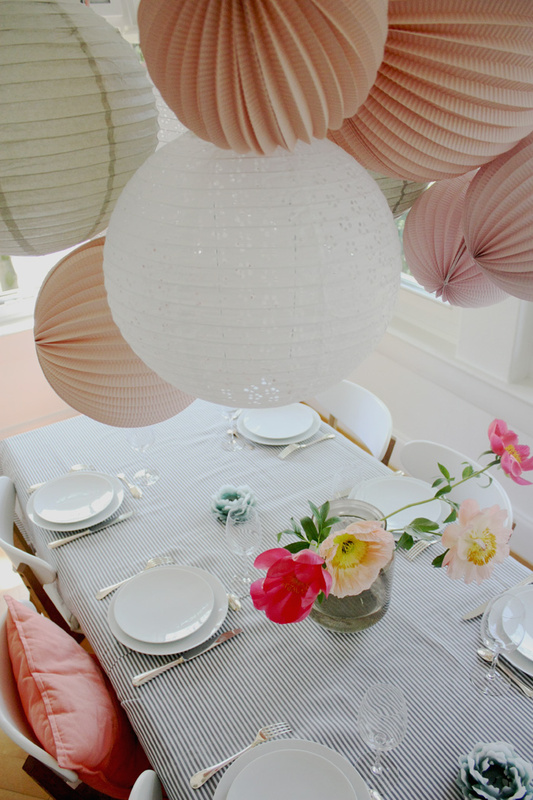 If on the contrary the height of the ceiling of your room is extremely high, pay special attention to the possibilities of hanging your items (beams, windows, existing nails). You will probably need a scale or a stepladder and an extra help. 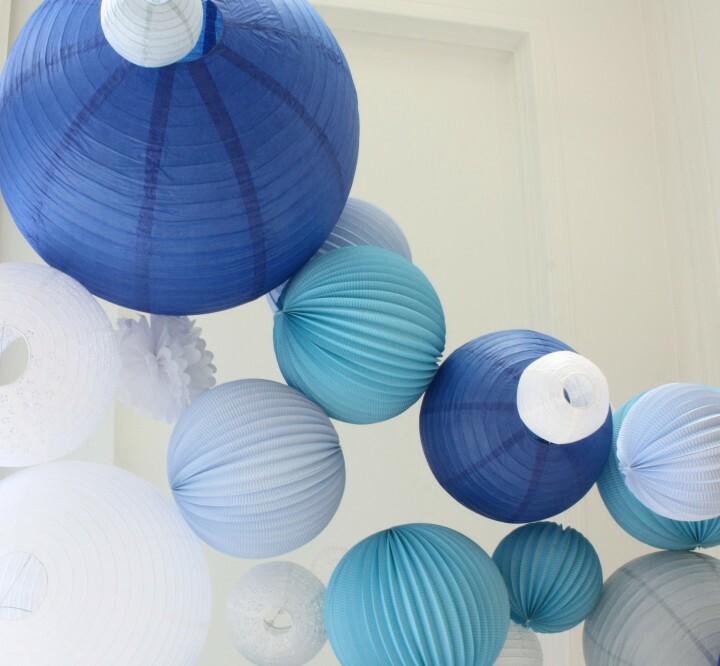 You can then begin to compose your sky with 50cm and 66cm lanterns which take up some room and then complete it with smaller articles. String fishing rope or solid twine hung in all directions, as a huge spyderweb on which you will suspend different elements of decoration. According to your whishes you can choose: several different product lines to be mixed, a single product line but several sizes or simply one product ordered in quantities. 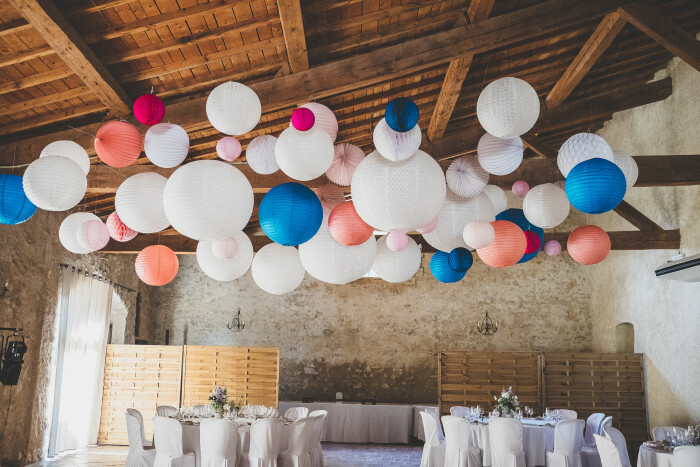 According to your budget and to your desires, you can choose not to cover the whole ceiling but to group your lanterns above a strategic point, as a sideboard, table of the bridegrooms or dancefloor. 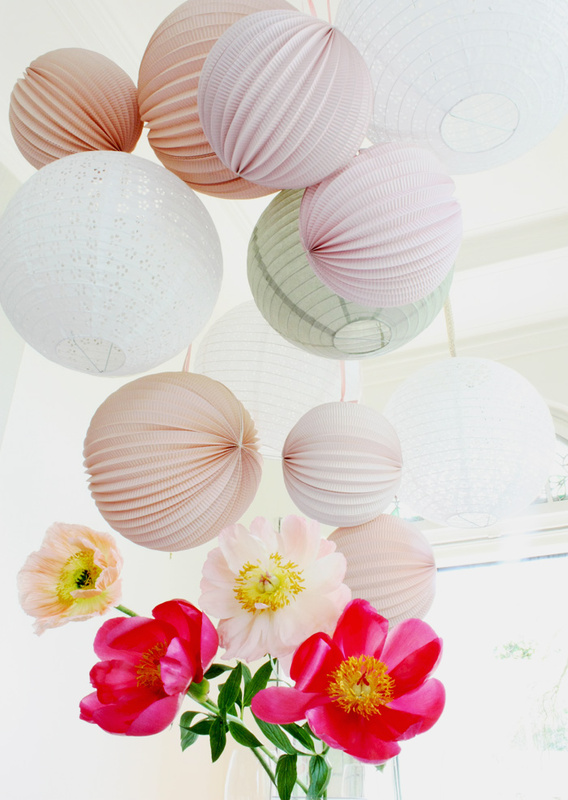 Reminders of colors. 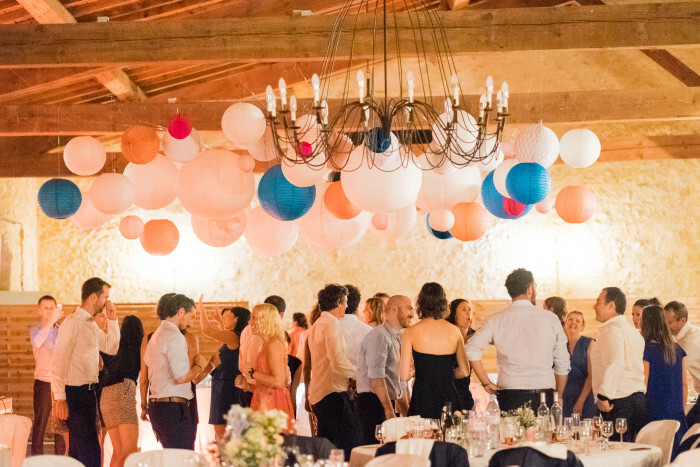 Some articles already used for the decor of the main room can be grouped in different clusters in the garden, in the entrance of your venue, in the corner of the main room… For a well-balanced cluster we generally choose between 5 and 7 items. 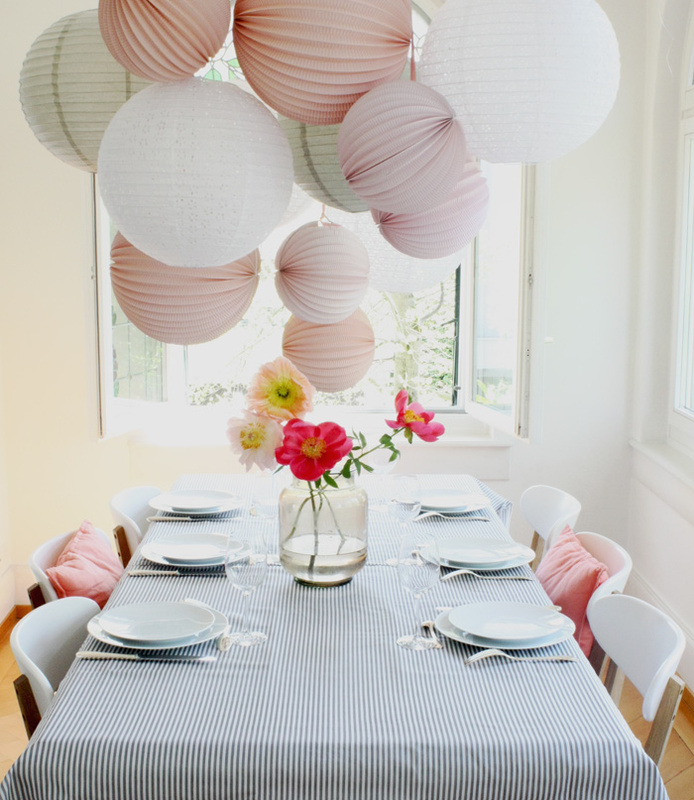 You can tight them together with ribbons, thread or transparent fishing rope. 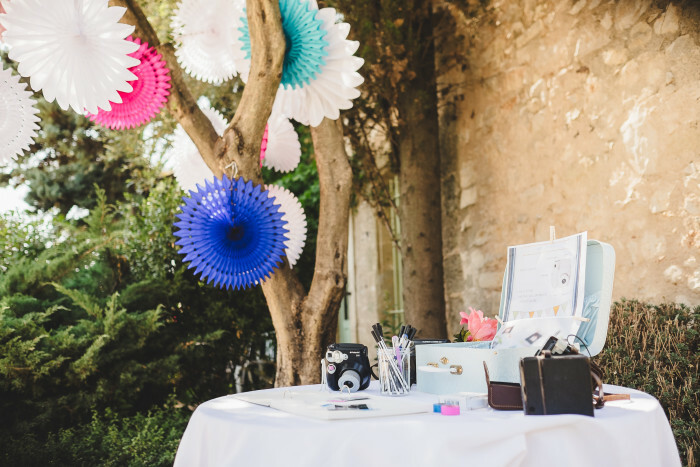 The ” photobooth ” corner, small budget, big effect! 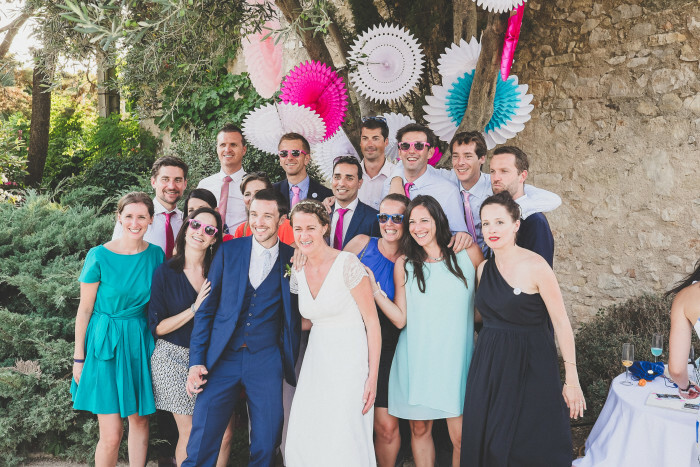 To decorate easily and in a original way your photobooth, we advise you to choose paperfans. 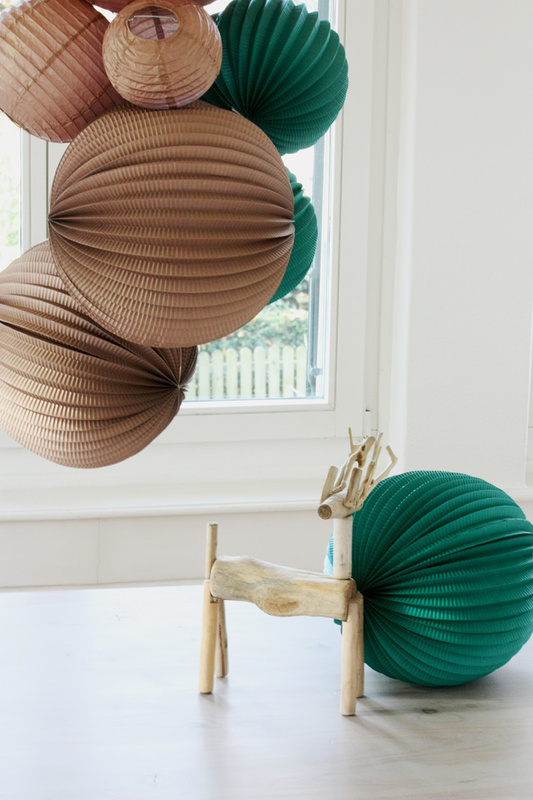 They are very easy to build and to hang with their small cord. 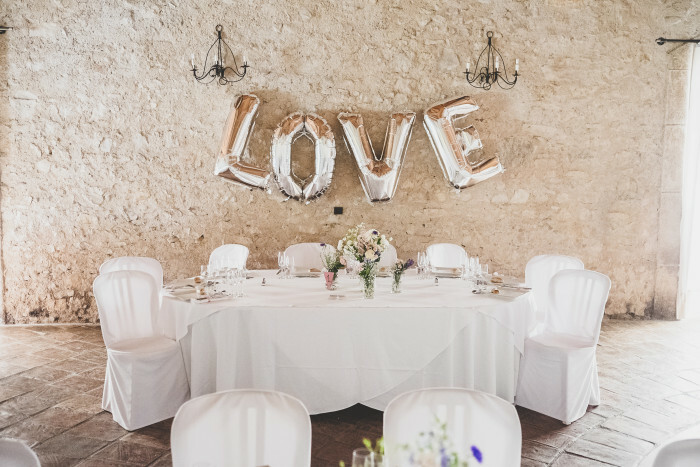 The L.O.V.E maxi ballons kit for a strategic place. 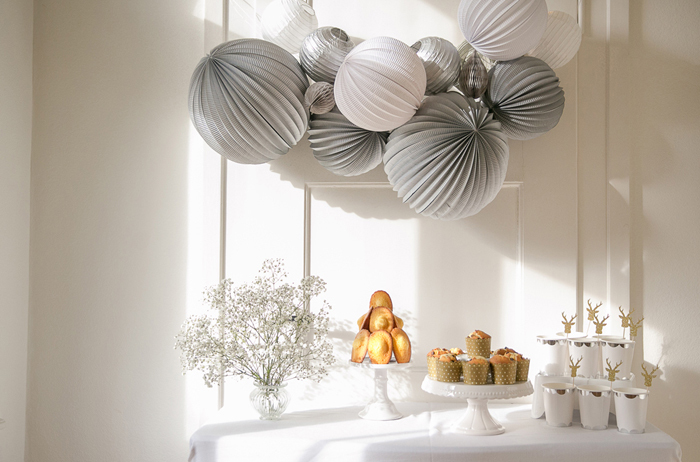 Emphasise the bridegrooms table with our kit of maxi ballons in gold or silver. Letters are not tightened together, so you can place them as you wish into the room. 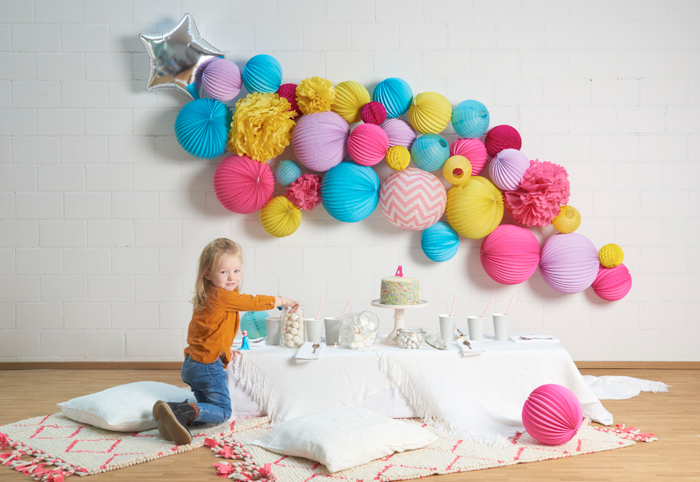 This kit can also be a great and easy decor for a photobooth or a dessert buffet. 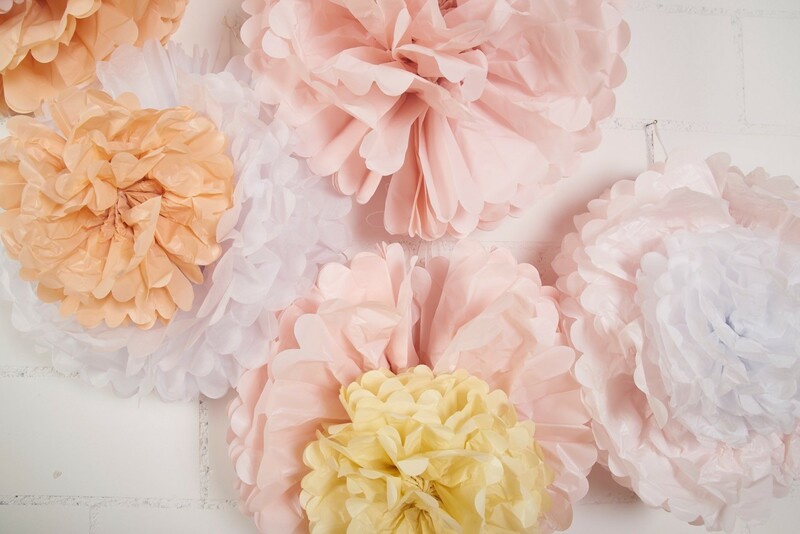 Even more products to customise your own wedding decor in our boutique! 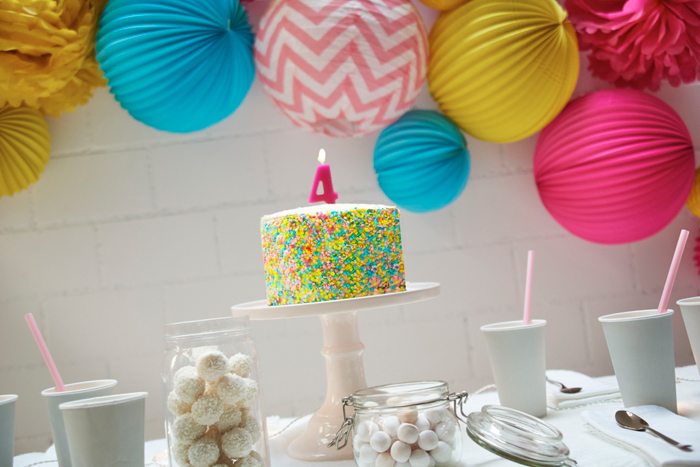 A frosted birthday party ! 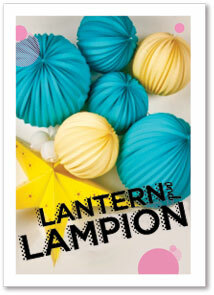 Happy birthday Lantern and Lampion ! 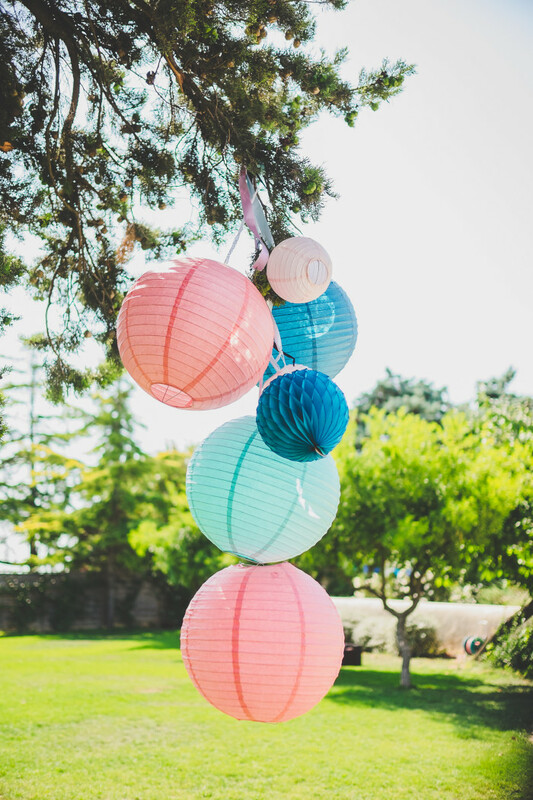 We never get tired of this color palette ! 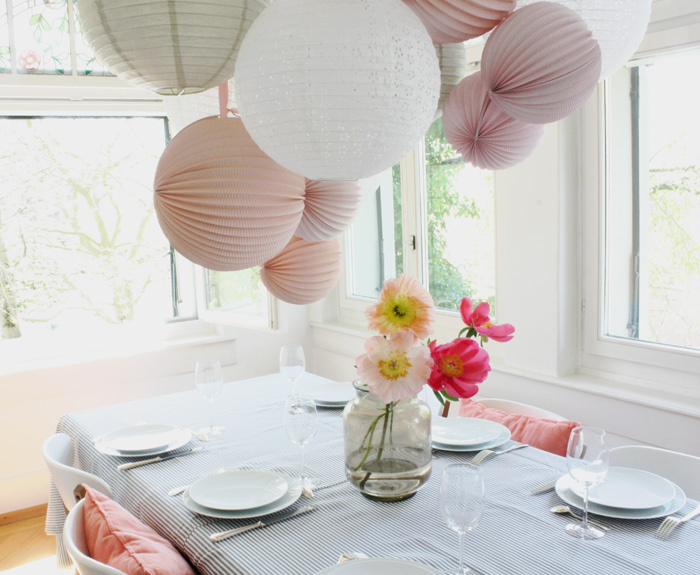 Simple and joyful, it will be perfect for your wedding, a baby shower or a springy lunch. Even when the sun sets, there’s magic in the air. Shop in our boutique for a similar look ! 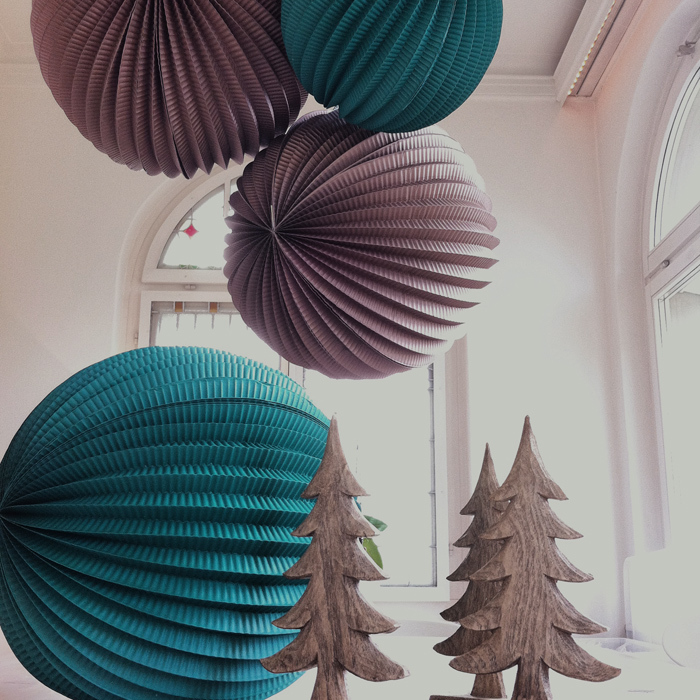 They will bring magic and style to your holidays decor. 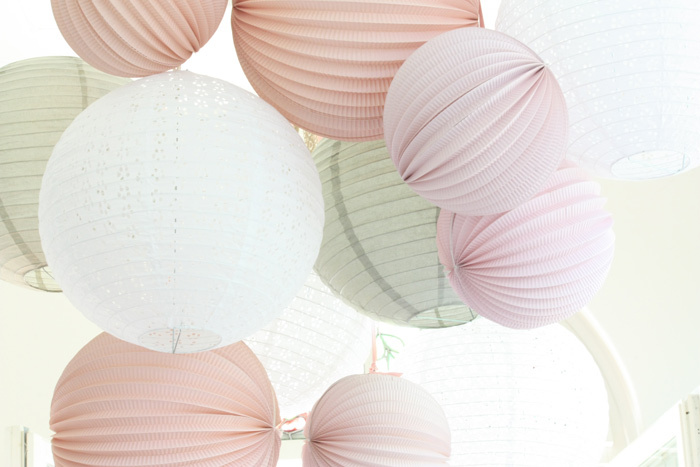 We designed subtle shades of grey, pinkish beige, light pink and white. 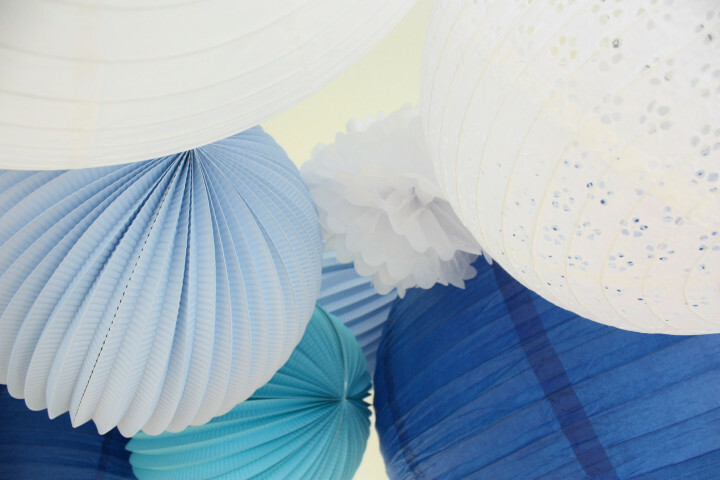 You can create a beautiful sky of paper lanterns, with various sizes and colors. The easiest way is to use fishing line that you fix wherever you can, hooks, beams, windows etc. 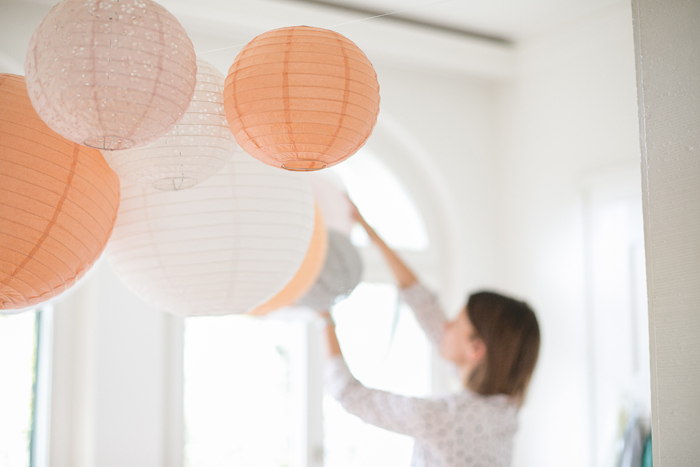 to create a structure from which you will be able to hang your lanterns. 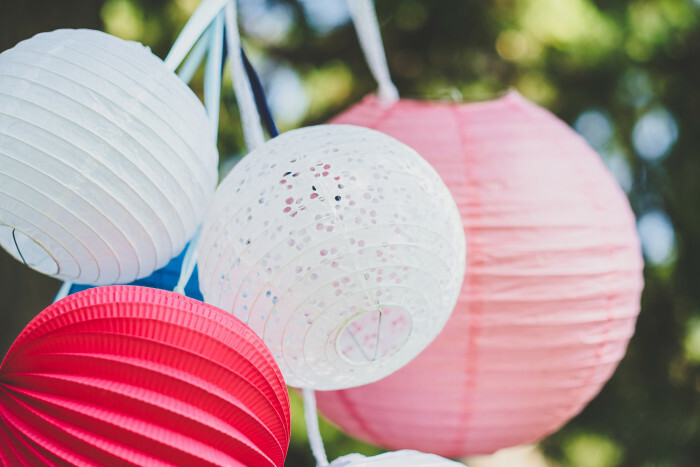 Check out our new eyelet lanterns in our Christmas selection ! 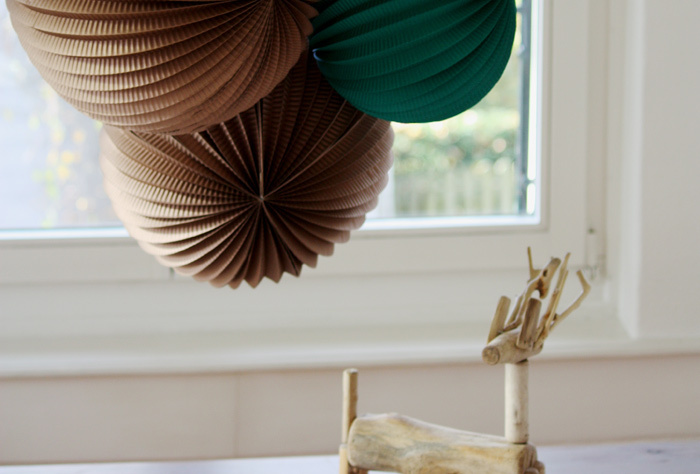 And here’s a new series of hopefully inspiring pictures, featuring some of our new products. 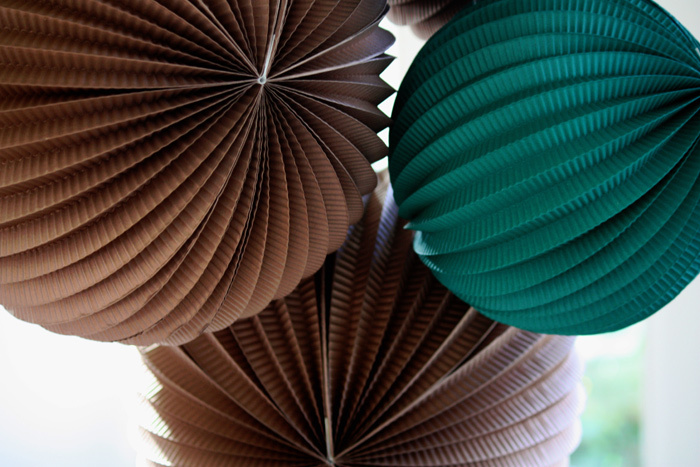 Accordion and regular paper lanterns in a beautiful shade of copper (our all-time favorite) and a super-chic tone of green. 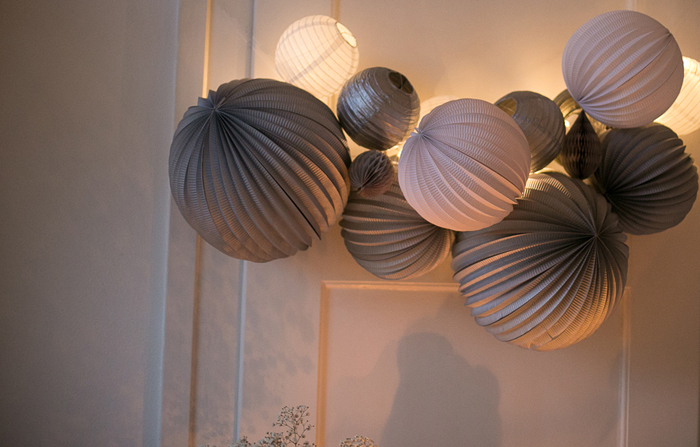 All these lanternes are available in our Christmas selection: shop now ! 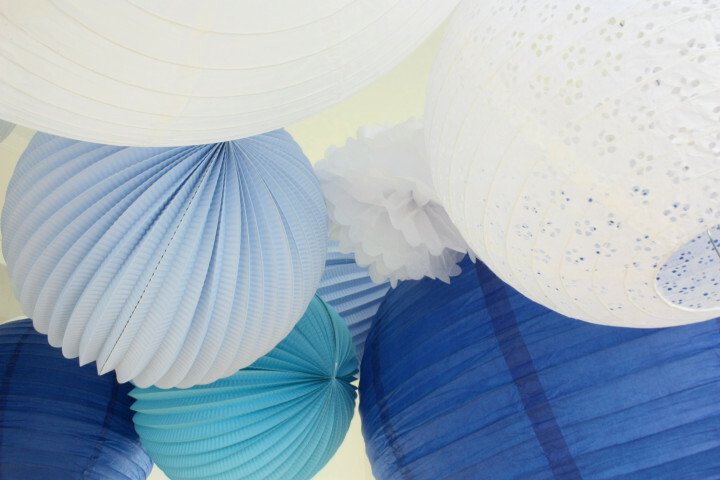 We’ve selected for your holiday parties and home festive décor our cutest paper lanterns and most stylish hues. Check this out now ! 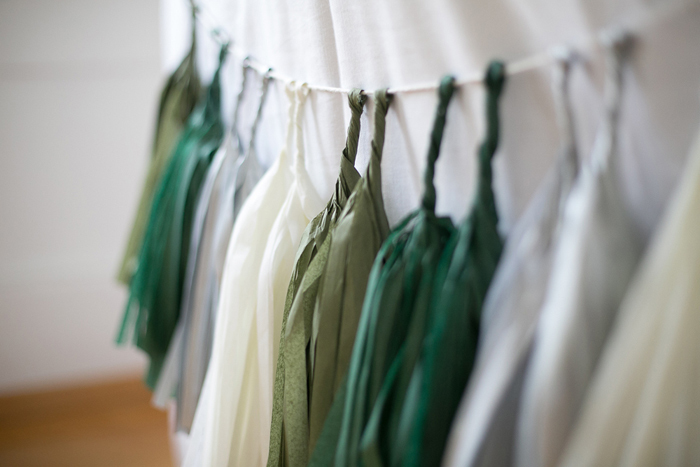 And we have new tassel garlands in limited edition ! 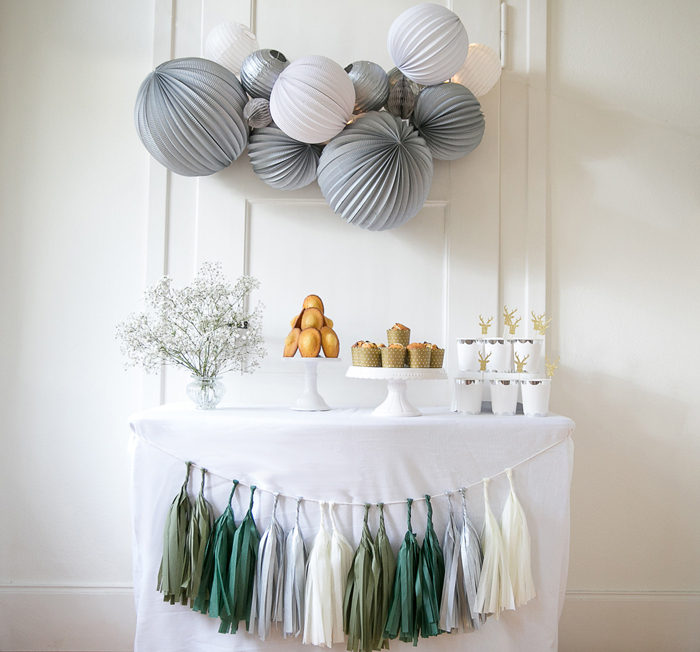 We came up with pretty color palettes called Winter princess, Poem, Woodland, Sweet macaron, and Eyeshadow…. 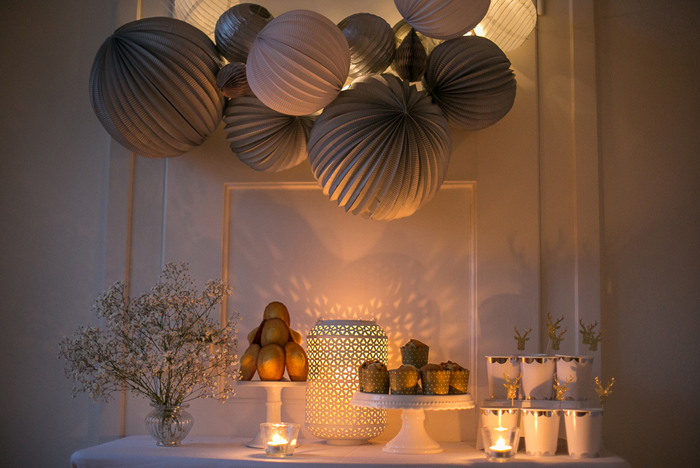 So here are some pictures of a winter buffet we created for you. And our heart goes boom for this picture of the candlelight buffet ! 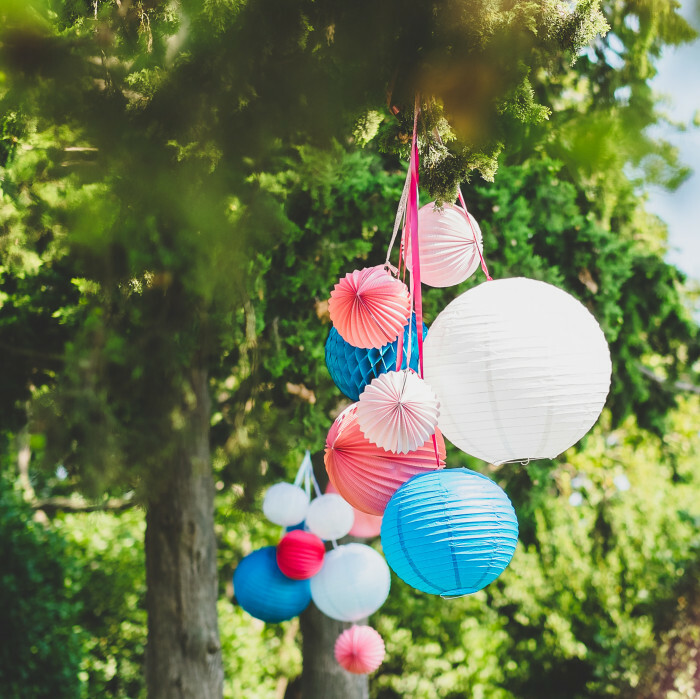 Hope they will inspire you…. 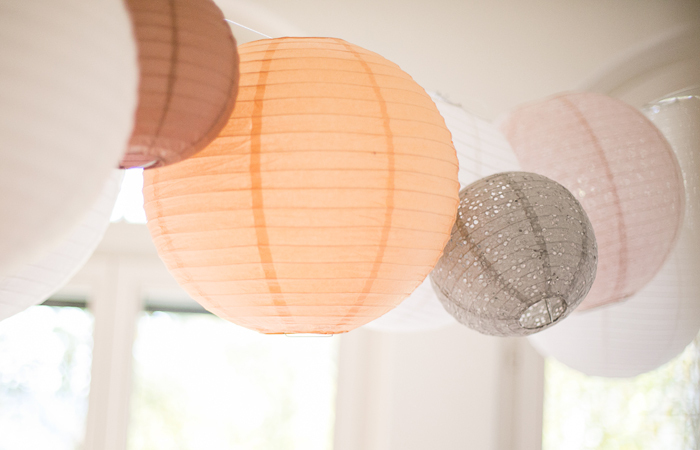 Assembly tip: to create this cluster, you simply need to take twine and layer the lanterns so they cover the twine. 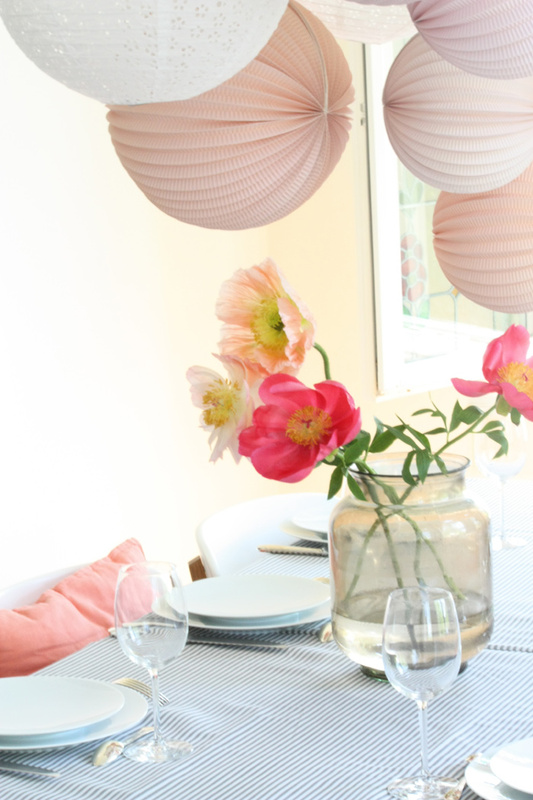 Fill out any empty space with smaller items like drops. Stay tuned for more new products coming to our boutique this week ! 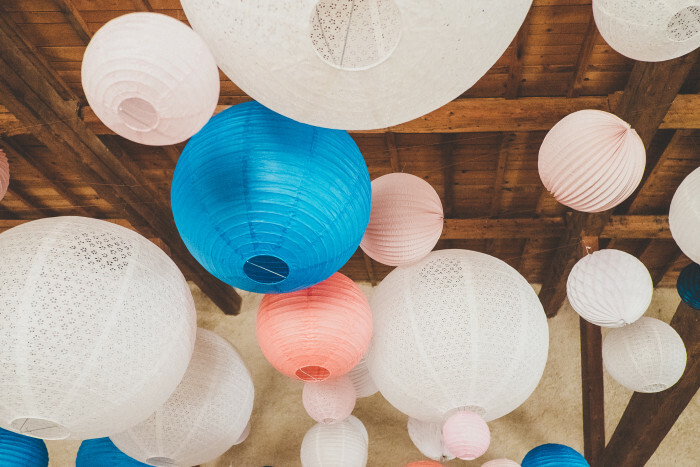 Decor ideas for your shop!